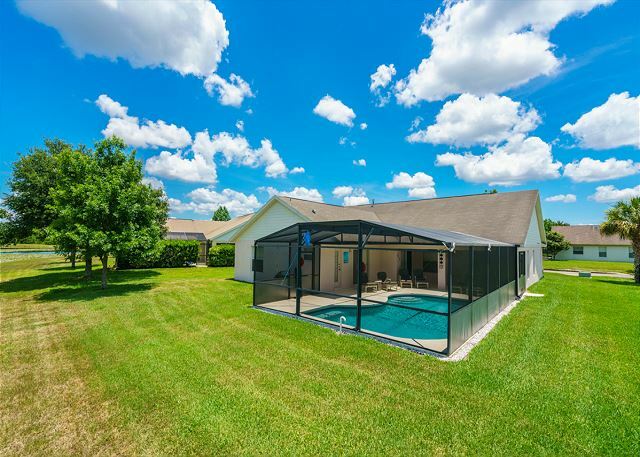 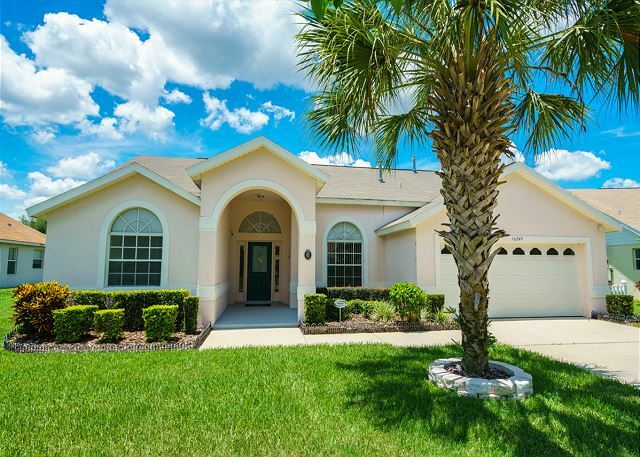 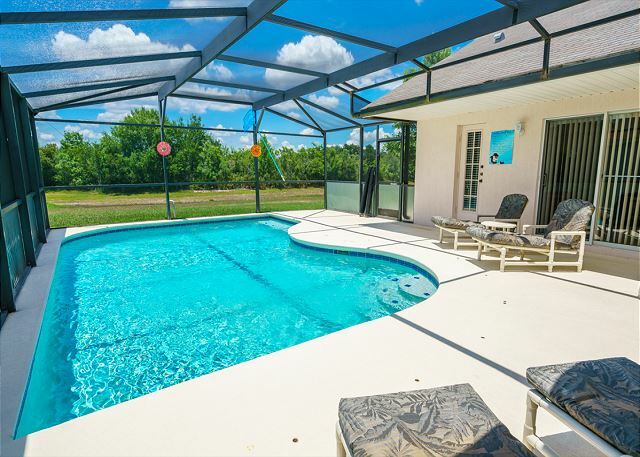 This large 4 bedroom, 3 bathroom home is located on Orange Tree and has wonderful conservation views. 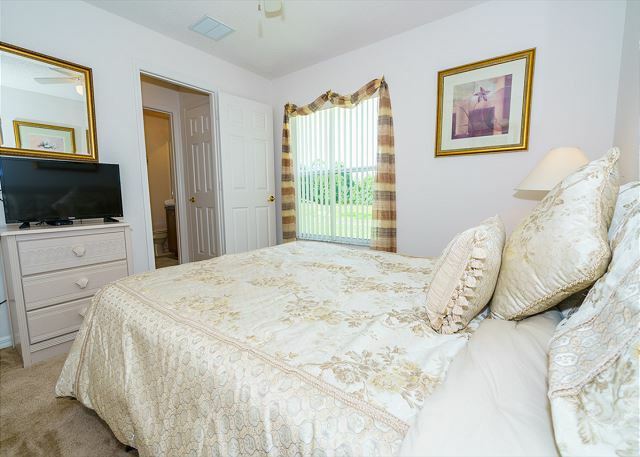 The home will comfortably sleep up to eight guests. 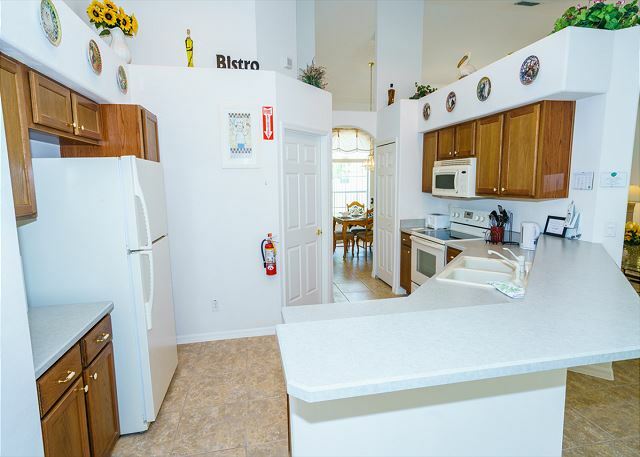 The fully fitted kitchen overlooks a breakfast nook that seats up to 4 guests. 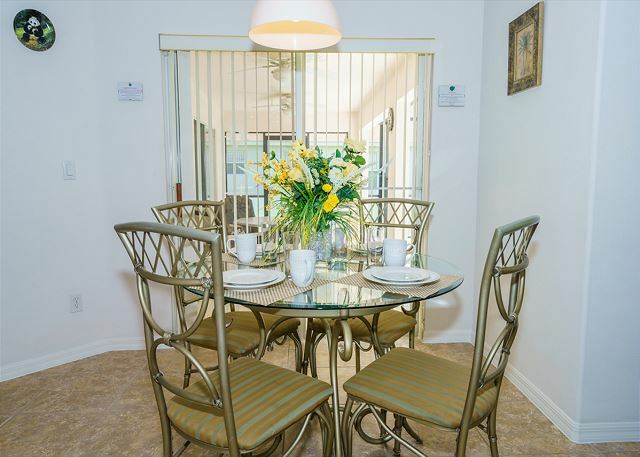 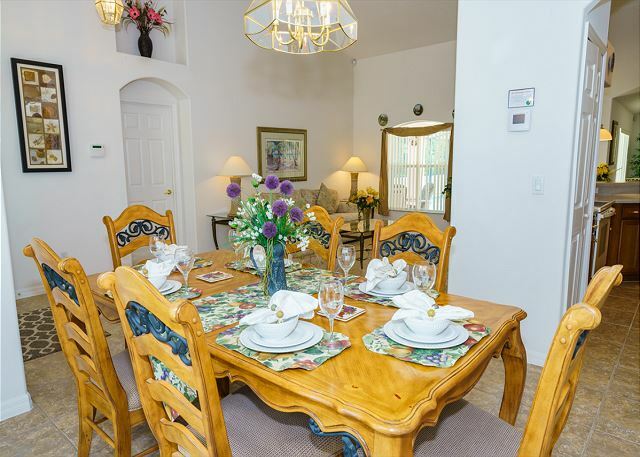 In the Villa are two separate living areas and a dining room which seats 6 people. 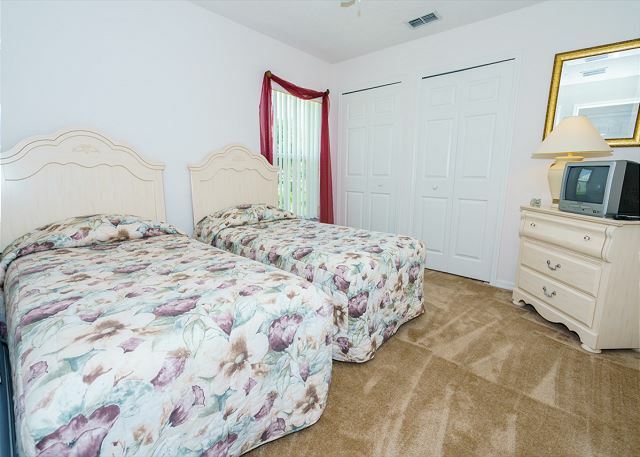 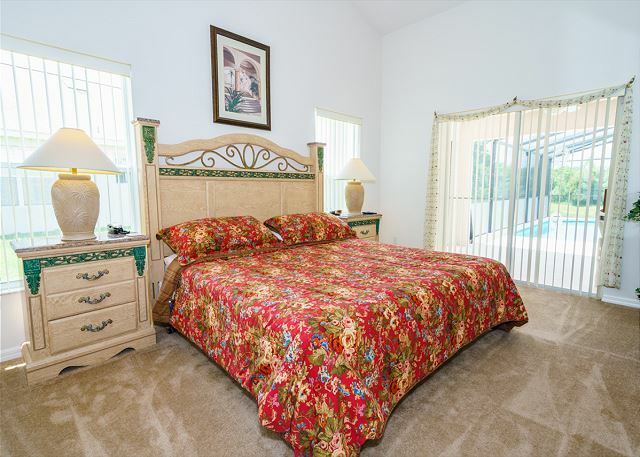 The master bedroom has a king bed, a television and doors which lead out to the pool deck. 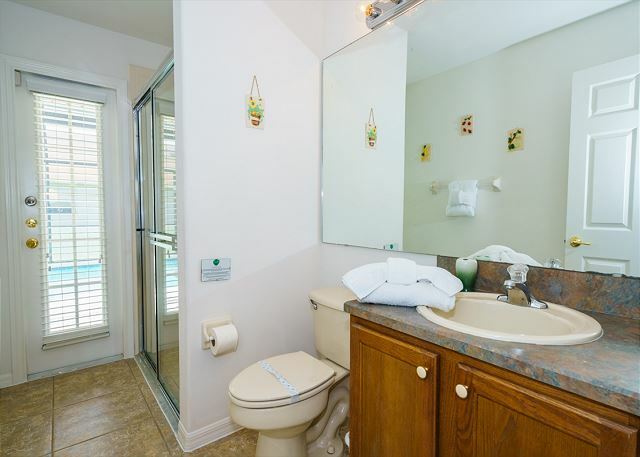 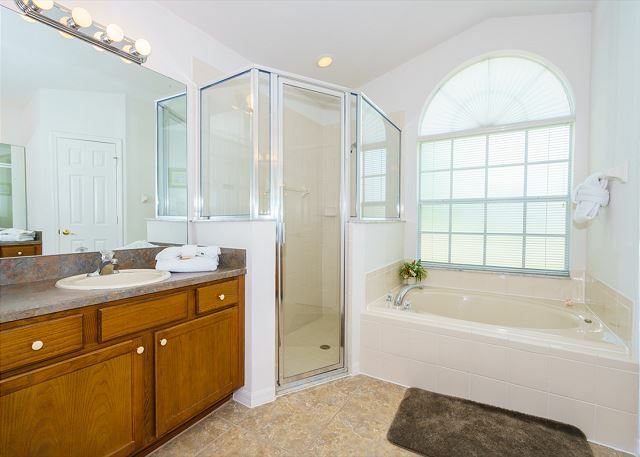 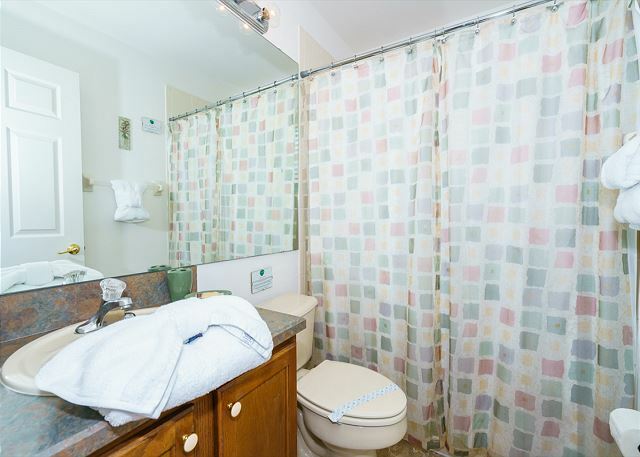 The master bathroom has his and hers vanity units, a bath, shower and toilet. 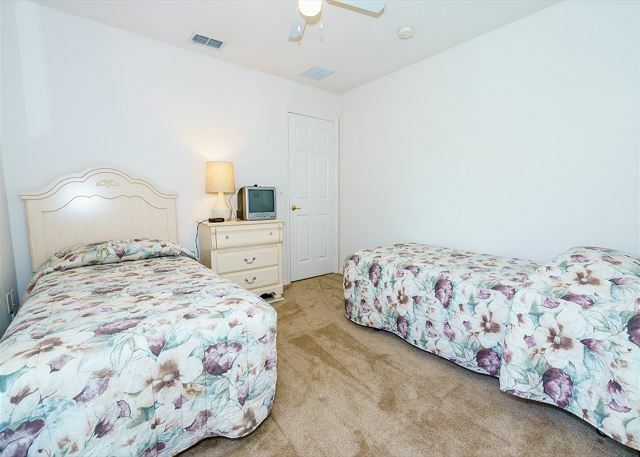 Both twin bedrooms have televisions and share a bathroom. 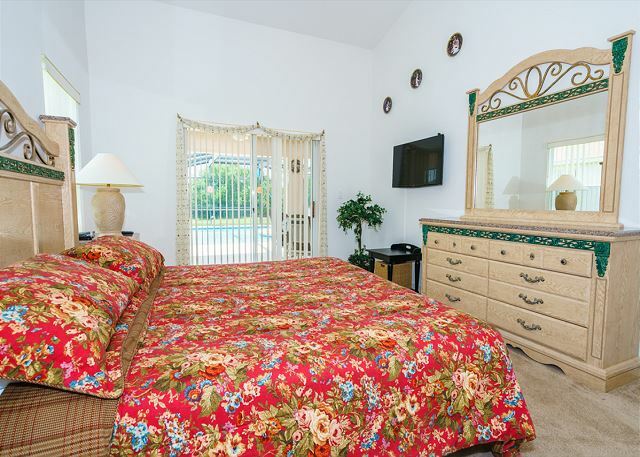 To the rear of the villa is the queen bedroom, complete with television and access to the third bathroom. 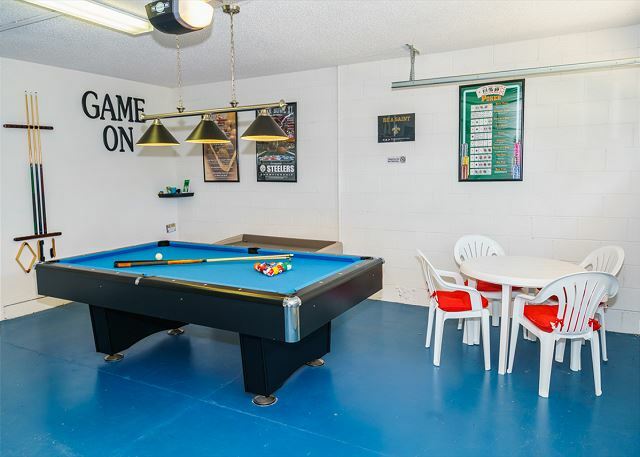 The games room offers a pool table and darts for guests to enjoy, plus there is wireless internet access available within the home. 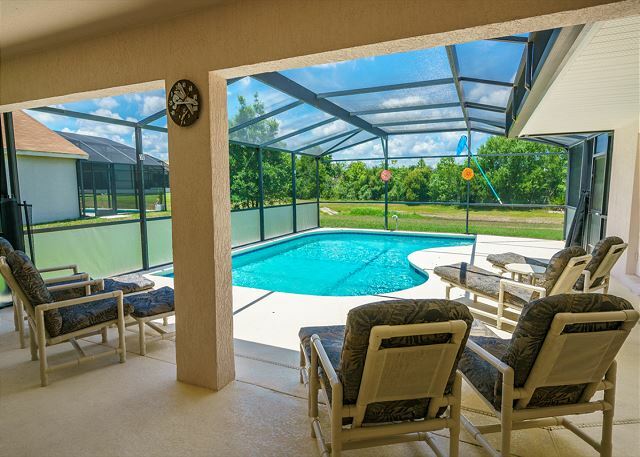 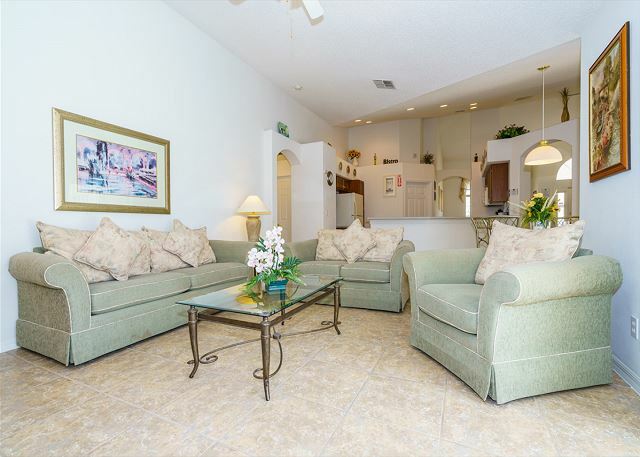 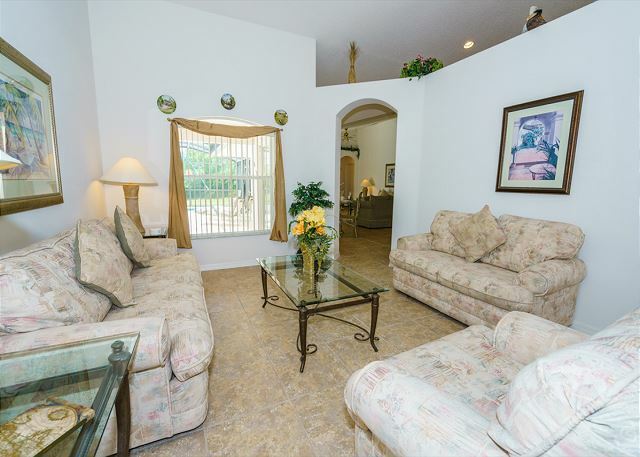 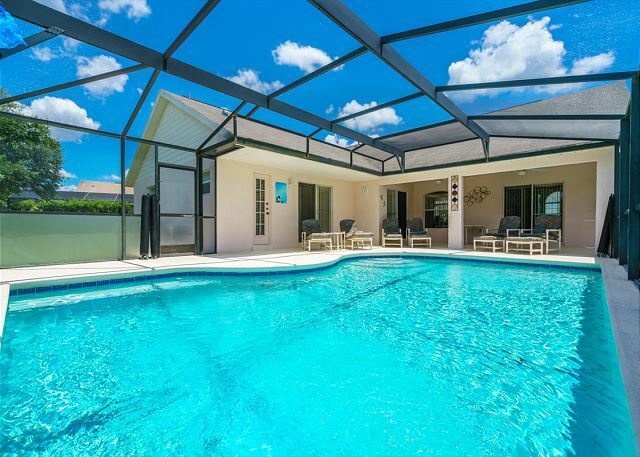 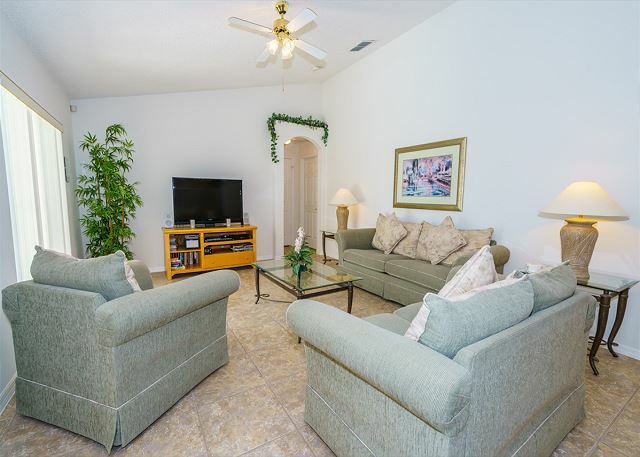 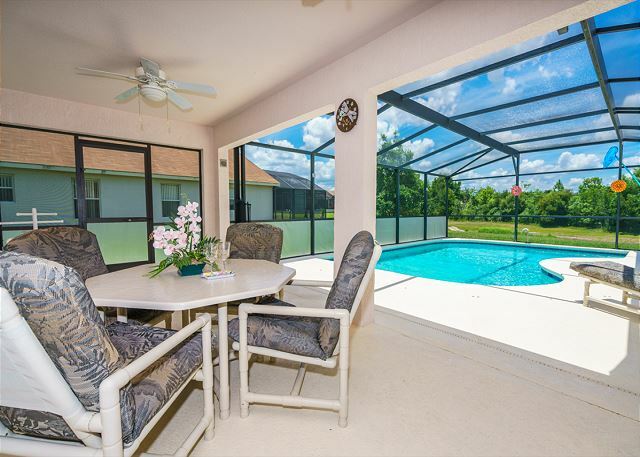 Outside you will find your own pool and sundeck with conservation views and a large lanai furnished with patio furniture.